A sunset shimmers on Nelson, a town which has long been a magnet for creative souls. Get ready to party and pamper, jump from planes and fly down slopes. No matter where your travelling shoes may wander in New Zealand, there are plenty of activities to suit your mood and inclinations. 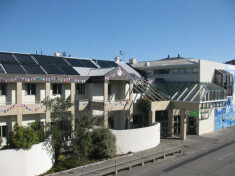 And YHA have hostels in all the locations close to the action. Here’s our pick of ultimate and iconic South Island activities and the towns and cities to do them. Bildnachweis: Camilla Stoddart NZSKI Ltd.